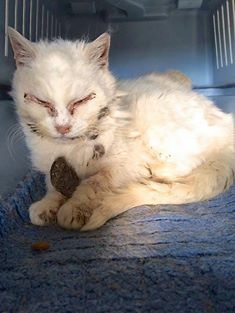 A fairy godmother took in a feral cat which had been badly mistreated and in a very bad way. Four years ago, Rhonda Andersen noticed an angry little cat roaming the neighbourhood and looked after her for a few days but she soon disappeared and didn't return until last October in a much worse shape. She was skinny, dirty, matted, and had gloopy eyes. Snow White, which Rhonda had called her, had stopped grooming herself and consequently, her coat was filthy with large mats of fur hanging from her throat and hip. Rhonda made a safe space for Snow White in her heated garage and vowed to make sure she would never have to fend for herself outside again. Her first priority was to help Snow White learn to trust her and to feel safe in her new surroundings. Slowly but surely, she started to relax and allow the occasional head scratch. Because of her high level of anxiety and distrust, Snow White was sedated while a veterinarian checked her out, recommending a full dental extraction and gave her treatment for an upper respiratory infection. 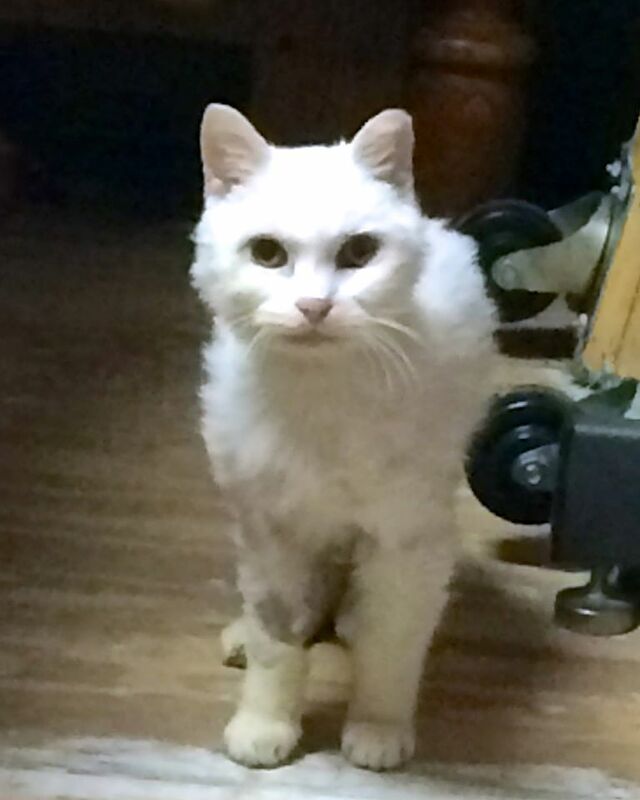 While she was sedated, the clinic took the opportunity to give Snow White a nice spa treatment. They bathed her, cut away the mats, and even gave her a pedicure.